This article explores how the concept of consent to medical treatment applies in the veterinary context, and aims to evaluate normative justifications for owner consent to treatment of animal patients. We trace the evolution of the test for valid consent in human health decision-making, against a backdrop of increased recognition of the importance of patient rights and a gradual judicial espousal of a doctrine of informed consent grounded in a particular understanding of autonomy. We argue that, notwithstanding the adoption of a similar discourse of informed consent in professional veterinary codes, notions of autonomy and informed consent are not easily transferrable to the veterinary medicine context, given inter alia the tripartite relationship between veterinary professional, owner and animal patient. We suggest that a more appropriate, albeit inexact, analogy may be drawn with paediatric practice which is premised on a similarly tripartite relationship and where decisions must be reached in the best interests of the child. However, acknowledging the legal status of animals as property and how consent to veterinary treatment is predicated on the animal owner’s willingness and ability to pay, we propose that the appropriate response is for veterinary professionals generally to accept the client’s choice, provided this is informed. Yet such client autonomy must be limited where animal welfare concerns exist, so that beneficence continues to play an important role in the veterinary context. We suggest that this ‘middle road’ should be reflected in professional veterinary guidance. 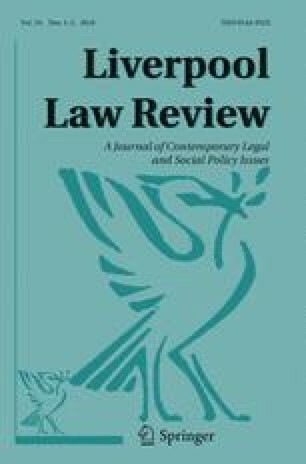 This article is based on a paper presented by the corresponding author at the Conference on Animal Law, Ethics and Legal Education held at Liverpool John Moores University on 5th September 2017. Given these key differences between animal and human medical practice, we argue that caution is needed in importing the language of informed consent and autonomy into the veterinary context and that a new protocol is necessary to inform professional veterinary ethics and practice. Our approach would recognise client autonomy where appropriate, affording it priority in situations where the animal’s welfare will not be compromised by the particular choice of treatment options. However, where welfare concerns exist, we propose a beneficence-based approach to decision-making. This “middle way” recognises the tensions that result from negotiating the veterinarian/owner/animal relationship, which calls into question standard models of patients and health professionals, given both the contested legal status of animals and the way in which veterinary practices effectively operate as businesses involved in delivering private healthcare to human clients who pay for their services. Yet at the core of these interventions both veterinarian and owner have responsibility for the health and welfare of animal patients who can neither indicate their preferred choices, nor refuse proposed treatment. Recognising these blurred boundaries and responsibilities, we suggest that an approach which seeks to integrate animal welfare with owner autonomy not only affords better protection to animal patients, but may go some way to assuaging the significant ethical tensions and associated stress reported by the veterinary profession (Batchelor and McKeegan 2012). Since then, growing awareness of and implementation of human rights (especially post the Human Rights Act 1998), increasing patient access to medical knowledge, and an apparent decline of trust in the medical profession (O’Neill 2002; Case 2017) have led to autonomy assuming ever greater importance in doctor-patient decision-making (Maclean 2009). Before considering the legal implications of this, we clarify how autonomy is understood in the health context. Therefore, a libertarian autonomy, based on self-interest, is now the dominant version of autonomy enshrined in professional ethical guidance for human patients. The next section considers how this relates to UK health law, which has also witnessed a trend towards the recognition of autonomy, albeit more gradual given the historical tendency of judges to defer to medical expertise in decision-making. The doctrine of consent plays a key role throughout UK law, as well as in health care provision. If medical treatment is provided in the absence of a valid consent the health professional commits a criminal offence or may be sued in negligence. This has led to UK courts grappling with the question of what information must be disclosed to the patient in order to ensure that his or her consent is legally valid. The 2015 Supreme Court decision in Montgomery v Lanarkshire Health Board may be regarded as the culmination of a gradual trend towards recognising autonomy in medical negligence cases. Space precludes a detailed critical examination of the emergence of this complex and contested shift. Rather, here, we outline some of the key moments in the legal history. Having outlined the rise to prominence of autonomy in the arena of medical-decision making, it is important to stress that lively and ongoing critiques exist, both in practice and in the scholarship. First, commentators have argued that autonomy must be tempered with responsible patient choice, which considers the position of relevant others (Stirrat and Gill 2005). Such views align with those who criticise unfettered autonomy, many of whom prefer a Kantian approach, which is “not about free choice, but about the drive to appropriate or moral action.”(Donnelly 2009:19). According to these authors, Kantian autonomy is essentially relational and cannot fail to consider the impact of a decision on others, particularly those in close relationships (Maclean 2009). Similarly, Brazier (2006) claims that the trend in favour of patients’ rights after decades of paternalism has resulted in over-correction of the imbalance. Pleading for the return of the three “neglected” principles of biomedical ethics: non-maleficence, beneficence and justice—she maintains that, alongside the right to autonomy, patients have reciprocal duties to ensure that their decisions do not breach other principles in terms of the provision of healthcare for others. Thus, responsibility for choice includes considering the consequences of that choice. Third, it is interesting that in Montgomery itself Baroness Hale sounds a cautionary note, observing that a patient cannot force her doctors to offer treatment, specifically treatments that are “futile or inappropriate.”31 Similarly, Heywood and Miola (2017) have highlighted the difficulties even post-Montgomery that a patient may face in demonstrating that they have withdrawn their consent. Coggon and Miola (2011) have also contended that courts have tended to confuse autonomy and libertarianism, which can result in untrammelled liberty undermining autonomy in practice, for instance, where the patient does not actually understand the information. With regards to decision-making in companion animal medicine, a triadic relationship exists between the animal, owner and vet. This makes veterinary medicine ethically complex, especially when the welfare needs of the animal and the wishes of the owner come into conflict. In fact, the tension that veterinarians experience in trying to serve the interests of both animal patients and paying clients has been called the fundamental question in veterinary ethics. Whilst medical consent protects a patient’s rights to make autonomous decisions concerning their own body, veterinary informed consent aims to protect an owner’s right to make autonomous decisions concerning their legal property. Indeed, the owner can lay claim to consideration as a “consumer exercising choices,” as described by the Supreme Court in Montgomery.34 Yet, as we argued above, any obligation to respect the owner’s wishes must be constrained by the vet’s paramount professional duty to provide treatment in the best interests of the animal (RCVS 2017a).35 These professional obligations echo the legal obligations applicable to children, contained in the common law and the Children Act 1989, which require that child welfare is the paramount consideration. In summary, whilst human medicine has travelled some distance from the “reasonable physician” standard in terms of informed consent, the UK veterinary profession currently seems content to endorse a “reasonable veterinarian” standard. In part this may be due to the obstacles we have identified to applying the concept of autonomy to animals given its grounding in the concept of human rights.42 By contrast, animal patients, even those in companion roles, lack legal status and therefore cannot have rights protected by an autonomy-based consent. In short, we consider that the concept of autonomy is neither easily applied to the animal nor to the owner in the veterinary context, and so in the next section turn to consider the merits of an alternative approach. Nevertheless, owners face restrictions on how they can treat their ‘animal property’, suggesting that animals comprise a special type of property (Deckha 2012). Thus, the Animal Welfare Act 2006 obliges owners to provide for the welfare needs of their animals, including the treatment of injury and disease. Under section 9.2(e) the owner is responsible for ensuring that an animal is “protected from pain, suffering, injury and disease.”44 This means that failure to seek appropriate veterinary treatment for an animal could result in the owner being prosecuted under anti-cruelty legislation. However, in contrast to the case of children, there is, as we have seen, no legal mechanism to require owners to comply with veterinary advice through a civil court order.45 Moreover, although the RCVS requires veterinary professionals to prioritise welfare, this obligation continues to be balanced against the client’s financial and other considerations. The College advises its members to make decisions about treatment “based first and foremost on animal health and welfare considerations, but also the needs and circumstances of the client” (RCVS 2017)46 and to “consider the welfare implications of any surgical or other procedure and advise or act appropriately.”47 Consequently, notwithstanding certain commonalities in their position as patients, key differences exist between how animal/owner and child/parent relationships are regarded in law. And, although the concept of beneficence or “doing good for the patient”(Donnelly 2009:11) is central to decision-making for both types of patient, as we discuss below, much will depend on how this is translated into the legal requirement that best interests be promoted. “Utility beneficence,” on the other hand, obliges agents to balance benefits and harms to produce the best results for others. In the case of the animal patient, this would mean balancing the benefits of each treatment option (such as improved quality of life, improved health and the maintenance of the human-animal relationship) with the costs to the client (including financial) and the risks to the patient, to produce the best result in terms of welfare. Utility beneficence recognises that, as veterinary practices are private health enterprises, treatment decisions are often influenced by factors other than the evidence base for available treatments. We now consider how this balance could be achieved in practice, starting with an investigation into the legal form of utility beneficence - the “best interests” standard. For human patients it is clear that “best interests” no longer equates to “best medical interests”(Coggon 2016). Since the decision in Airedale NHS Trust v Bland,50 the “best interests” standard for incompetent humans has evolved, and primarily as a result of the Mental Capacity Act 2005, it is now necessary to incorporate the patient’s previously stated wishes and values in any decisions where possible (Coggon 2016:409). Best interests can also encompass a patient’s “metaphysical interests”(Coggon 2008:225). A similar approach to decision-making for animals could be adopted, though this too is fraught with difficulty, given the animal’s status as property, and the perhaps greater difficulties in ascertaining when animals enjoy life.60 As was historically the case with children, no consensus exists on what should be included in a ‘best interests’ calculation for animals. The RCVS Code of Conduct and Supporting Guidance (2017) refers to the “best interests” of the animal on four occasions, without expanding on the meaning of the term. An alternative approach would be to adopt the position that a procedure may be performed provided it is ‘not against’ the animal’s interests (rather than positively in their best interests) as was advocated in some early cases involving children.61 However, as Neil Allen has noted, such an approach to treating children is difficult to reconcile either with basic principle or with more recent cases (Allen 2017). This view has recently been confirmed by the ruling in Alder Hey Children’s NHS Foundation Trust v Evans. The Supreme Court rejected an argument made by the parents of a terminally ill child that, in evaluating their request to take their child abroad for treatment, the appropriate test should be that such an intervention would not cause ‘significant harm’, even if it could not be regarded as positively in the child’s ‘best interests’.62 The Supreme Court was clear that the gold standard for medical decision-making was that the proposed course of treatment was in the child’s interests. This more positive conception of best interests also seems to be accepted by the profession in the case of decision-making about animals. For instance, the British Veterinary Association (2018), in guidance documents on treatment and euthanasia decision-making, promotes a “quality of life” evaluation in conjunction with balancing harms and benefits to both owner and animal, again without further explanation. A useful list of criteria on which to base a ‘best interests’ calculation for companion animals has recently been proposed by Schnobel (2017:253) who suggests that it should include quality of life, the ability to function naturally, the ability to participate in a mutually beneficial companion relationship with the owner, and it should incorporate the veterinary professional’s knowledge of the individual animal and its lifestyle. Arguably, however, the latter criterion depends heavily on the owner’s perceptions and reporting of that lifestyle, in much the same way that ‘best interests’ decision-making for children continues to accord excessive power to parents (Fox and Thomson 2017). We propose that the list should also include an assessment of the risks involved with any proposed treatment, with the veterinary professional best placed to disclose evidence-based information about the level of these risks, and that in line with Montgomery this information should be based on what a reasonable client/owner would want to know. Amongst numerous practical criticisms levelled at the ‘best interests’ test as applied to children, commentators have charged that the standard lacks content, is couched in unclear terminology which offers no meaningful guide to professionals, and that it operates to advance parental and professional interests at the expense of children (Fox and Thomson 2017). Thus, notwithstanding the attempts outlined above to flesh out how the test is to be applied in law in order to encompass a broader range of factors, it remains the case, as Stalford (2017:38) argues, that “best interests assessments are unnervingly instinctive and highly contingent on the subjective assessment and value framework of the decision-maker”. Indeed, as Heywood’s analysis of the more recent case law demonstrates, it remains extremely rare in practice for parental views to be challenged or overturned in the courts (Heywood 2012). Ultimately, then, parents retain considerable power over decision-making for their children, up to the point where their decisions are deemed to very adversely affect their children’s best interests.63 We now reflect on whether animal owners should be endowed with the same authority, and whether it is possible to meaningfully disentangle the interests of animals from their owners. Is it therefore correct to assume that animal owners are the “best” decision-makers for animals in their charge, echoing assumpions regarding parental decision-making? Building on Salter’s arguments in relation to children,66 one could argue that: first, the owner is best placed to report on the animal patient’s preferences and desires and second, it is the owner who will bear some of the burden resulting from any decision, whether this be financial, emotional or relational (Salter 2012). The point about finances is particularly important. As we have seen, veterinary treatment remains an individual contract-based service between the animal owner (client) and the veterinary surgeon (professional). The owner retains autonomy over financial decisions, able to choose between innovative and complicated surgery at one extreme, and euthanasia at the other, and the legitimacy of such decisions being entrusted to the owner is rarely questioned (Mills 2016). Financial constraints on treatment will clearly significantly impact on the owner’s decisions. Thus, any beneficence-based approach must recognise owners’ differing abilities (and willingness) to pay. In addition, when considering companion animals, it could be argued that the owner is in the best position to translate her partiality towards the individual animal (Yeates and Savalescu 2017), into reaching a decision on a “best interests” basis.67 Given the need to reconcile these interests, we now turn to framing a proposal for veterinary decision-making which takes account of both the owner’s wishes and circumstances and the veterinary professional’s assessment of the animal’s welfare. To overcome the hypothetical situation where the autonomous and properly informed owner requests treatment for her animal that appears contrary to the animal’s best interests, we propose an alternative approach that provides a compromise between these competing interests. Our approach comprises “constrained [owner] autonomy” (Ross 1998:3)68 regarding financial commitment, provided that the available options have similar effects on the welfare of the patient, together with “utility beneficence” in cases where options with either significant welfare benefits, or negative welfare implications, are under consideration.69 At this point, it may be useful to clarify how this “middle way” approach can be deployed in practice, and its implications for consent. In cases where none of the available treatment options have welfare implications for the animal patient (for example, there are several equally appropriate surgical procedures used to repair torn knee ligaments),70 there seems no ethical reason why the client’s decision should not prevail. Maximising the client’s financial autonomy means discussing risks and benefits, including post-operative complications and aftercare required, and providing detailed cost estimates for each. It is at this point that the Montgomery ruling may have consequences for veterinary practice, if it follows that the level of risk disclosure should approximate that required for human patients. Where welfare differentials exist, a “best interests” discussion can then be usefully employed to prioritise options that promote positive welfare for the patient. This discussion, while taking into account the client’s financial and other constraints, should aim to assist the client in making a decision that maintains positive welfare and, as far as possible, the human-animal relationship, but is achievable for the individual client. In this regard we suggest that useful guidance for veterinary professionals could be derived from the recent more nuanced tests applied to assessing children’s welfare which move beyond the avoidance of physical harm or a purely medical assessment of best interests. For example, in the case of a feline patient diagnosed with hyperthyroidism, there are several possible approaches to treatment. Those involved may take into account the patient’s known dislike for taking oral medication, therefore excluding one potential treatment option, which involves giving oral medication for life (Carney et al. 2016). Such an example suggests how the veterinary profession might derive lessons from the history of informed consent in human medicine, informing and advising the owner to make decisions that promote the best interests of the animal. The RCVS recently (March 2018) updated its supporting guidance on informed consent for veterinary professionals, with the main additions being the timing of the consent discussion, who should obtain consent, a list of topics that should be covered during the consent discussion and the purpose of the consent form. It did not include advice on respecting client autonomy. See RCVS 2018, in Supporting Guidance. Schnobel, although not addressing the issue of consent specifically, argues for a “best interests” derived standard of care for animal patients, rather than one based on the commercial relationship between veterinary professional and animal owner. The Mental Capacity Act 2005 S4.6 states that previous known wishes, beliefs and values should be considered if these can be reasonably ascertained. See also Taylor (2016). Brazier fears that this shift neglects patient duties to avoid harm to others, for example. Interestingly, she paints a bleak picture of a health service based on a ‘consumer-orientated’ model, which reflects the Montgomery dicta of ‘patients as consumers’; see also Montgomery (2006). Though this model has been criticised as not reflecting the reality that medicine is delivered by a multi-disciplinary team of health professionals—see, for example, Montgomery (1989) at p332. McGreevy and Bennett describe a companion animal as one used for human companionship, rather than to work or to produce a product. This type of animal patient has been chosen to approximate most closely with the paediatric patient. See, for example, Francione (1995). For example, in Charles and Davies 2008 sociological study of families, a significant proportion of interviewees included pets in their kinship network. Ashall and Hobson-West (2017) have proposed that this kinship be acknowledged in the veterinary context, while Fox (2004) has argued for legal recognition of cross-species kinship. RCVS (2017), at Sect. 2.1. See also Annas and Grodin (1995). In Whitehouse v. Jordan and Another  1 WLR 46 as regards diagnosis and treatment and Sidaway v Board of Governors of the Bethlem Royal Hospital  1 AC 1 as regards information disclosure. Per Lord Scarman in Sidaway, at 876 G-H. Per Lord Scarman in Sidaway at 888H; see also Lee (1987). See, for example, Smith v Tunbridge Wells  5 Med LR 334; Smith v. Salford Health Authority  Med LR 321 and Lybert v. Warrington Health Authority  7 Med LR 71. Per Lord Woolf in Pearce at 21. Chester v Afshar  1 A.C. 134. Per Lord Steyn in Chester, at 16. Per Lords Kerr and Reed in Montgomery at 75[G]. Per Baroness Hale in Montgomery at 108[C]. Counter arguments suggest that autonomy does not equate to bodily integrity, as “the right to bodily integrity is not lost when autonomy is lost” for example, through a reduction in mental capacity - Herring and Wall (2017), at 583. How this might apply to animals raises interesting questions, since claims for protection of an animal’s physical integrity may be difficult to sustain, given the interference with bodily integrity permitted by animal welfare legislation, e.g., the Animal Welfare Act 2006 controversially permits the docking of dogs’ tails up to 5 days’ old, provided that they are identified as working dogs (s6(3)) - see Fox (2010). When discussing non-therapeutic sterilisation, even proponents of animal rights have suggested that the right to bodily integrity is less important than the right not to be property, for example, see Fusfeld (2007). See also Heywood (2015); Heywood and Miola (2017); Herring et al. (2017). As an example of its broader implications, in O’Hare v Coutts & Co  EWHC 2224 the High Court applied Montgomery to a case involving financial advice. See, for example, Bright et al (2017). In this article the authors refer to Montgomery as the law on clinical negligence catching up with developments within the professions, as General Dental Council advice pre-Montgomery already used a reasonable patient standard. Cherny argues that these types of situation should be respected as “nuanced” forms of autonomy. Per Baroness Hale in Montgomery, at 115B. In the case of adult patients, a statutory presumption of capacity exists so that the individual must be presumed to be competent to decide unless proven otherwise according to the statutory test of capacity. Even then, attempts must be made to elicit the patient’s past and present wishes, thus respecting her autonomy. See Mental Capacity Act 2005 and Taylor (n6). It is only then that decisions are made to protect her interests. Satz (2009) has suggested that this dependency renders animals the most vulnerable of all legal subjects - see also Deckha (2015). This duty is emphasised in the Supporting Guidance to the RCVS Code of Professional Conduct, Veterinary Care, which advises that veterinary professionals should “make decisions on treatment regimes based first and foremost on animal health and welfare considerations….” at 2.2.c. As Archard and Macleod (2002:1) have suggested, the child is conceived as “if not precisely a thing to be owned… in some sense, an extension of the parent”; see also O’Donovan (1993). Indeed there is some debate as to whether children are owed a legal duty of care by their parents – see dicta by Lady Hale in Woodland v. Swimming Teachers Association and others  AC 537, at 589. Although human patients differ in terms of, for example, age, capacity and ethnicity, there is a more obvious “speciesism” in the world of animal treatment. We give different levels of legal protection to different species, and to different members of the same species. Rats can be killed in apparently inhumane ways for pest control, but their deaths are strictly regulated if they are used for research, and there are higher levels of justification required for using certain species of animal, such as primates, dogs and cats, in research. See Animals (Scientific Procedures) Act 1986. See, for example, Thake v Maurice  QB 644; see also ARB v IVF Hammersmith Ltd  EWHC 2438. See RCVS notes on negligence https://www.rcvs.org.uk/document-library/a-note-on-negligence/ accessed 13 January 2018. A search of legal databases for cases of alleged veterinary negligence in the United Kingdom revealed eight reported cases, of which only two mentioned risk disclosure, and then only as a side issue. See De Maynard v Streatham Hill Veterinary Surgery  EWCA Civ 1728 and Calver v Westwood Veterinary Group  P.I.Q.R. P11. A sudden surge in veterinary negligence cases is improbable for several reasons. First, there are significantly lower awards available (confined to the economic value of the animal only) for breach of the duty of care to an animal patient, and this is coupled with the costs involved in bringing such a case to court. Recently, the successful introduction of a mediation and arbitration service by the RCVS in 2016 has led to an extension of the trial of the Veterinary Client Mediation Service, leading to even more cases being settled out of court (see https://www.vetmediation.co.uk). Finally, as Fox (2012) notes, it may take a scandal of similar proportions to those that prompted reforms in medical regulation, or a challenge based on human rights legislation, to force change on the profession in terms of how it regulates itself and how it decides cases of alleged misconduct. Heywood (2015:463) illustrates this through the change in judicial language, from “self-determination” to “autonomy”. Halsbury’s Laws of England, Vol 2, Sect. 2.1.6. Absolute Property in Domestic Animals (2017). Animal Welfare Act 2006, S9.2(e). As is the case with the Children Act 1989. The Royal Society for the Prevention of Cruelty to Animals (RSPCA) will, however, often issue improvement notices to owners, rather than prosecuting them, which has some parallels with Specific Orders issued for parents although the RSPCA notices are non-statutory (84,000 improvement notices were issued in 2016, vs. 1400 prosecutions) See https://view.pagetiger.com/RSPCAProsecutionsAnnualreport2016 Accessed 13 January 2018. Supporting Guidance – Veterinary Care at 2.2c. We prefer to use the term “beneficence” rather than “paternalism” in situations where the decision-maker is not the patient, thus avoiding the negative connotations of the latter term. Yeates and Main suggest that responsible ownership might include the obligation to fund reasonably necessary treatment. They do not, however, go on to define “reasonably necessary”, but imply that there are limits to the obligation to fund treatment. Veterinary professionals are required, under the RCVS Code of Professional Conduct, to provide immediate first aid and pain relief to any animal, regardless of the owner’s ability to pay (See Supporting Guidance ‘Providing First Aid and Pain Relief’, Sects. 3.7–3.9). See, for example, van Haaften et al. (2017). Indeed, promoting the animal’s health-related welfare is one reason for prioritising human decisions over animal decisions, according to Yeates (2018: 174). Interestingly, in some jurisdictions, there have been moves to incorporate a “best interests of the animal” test in pet custody cases. See Rook (2014) and Deckha (2012). For more on the legal aspects of best interests for children, see Bridgeman (2012). Although Baines (2010) maintains that doctors are actually better placed to decide on a child’s objective best interests than judges, for example. Per Dame Butler Sloss, Re A (medical treatment: male sterilisation)  1 FLR 549. See, for example, Portsmouth NHS Trust v Wyatt  EWCA Civ 1181, where the disagreement between parents and professionals was profound, and the court ruled that the child should be entitled to a “peaceful death”. Portsmouth NHS Trust v Wyatt at 87. Although, as more work is published on animal emotions, measurement of “enjoyment of life” may be more achievable. See, for example, Mellor (2011). SvS  AC 24 which concerned administration of a blood test. EWHC 308 (Fam); Supreme Court, Reasons given online, https://www.supremecourt.uk/cases/docs/alfie-evans-reasons-200318.pdf Accessed 8 April 2018. See Alder Hey Children’s NHS Foundation Trust v Evans. See, for example, Schnobel (2017), at 254. Also, the development of the term “bond-centred practice” in veterinary literature. As noted earlier, positive duties are placed on companion animal owners and keepers by the Animal Welfare Act 2006, s9.1, making them responsible for ensuring that the animal’s needs are “met to the extent required by good practice,” Including protecting the animal from “pain, suffering, injury and disease.” However, in cases of non-compliance, vets may be reluctant to report owners to the relevant authorities for reasons of client confidentiality, and clients may be more likely to complain about vets to the RCVS rather than the RSPCA. We have replaced “parent” with “owner”. This might parallel Bridgeman (2012)’s arguments as to why parents should generally be entrusted with making decisions for their children. We have borrowed the phrase from Ross, Chapter 1, replacing “parent” with “owner”. There is a separate argument regarding whether veterinary professionals are, or should be, obliged to offer all available options in every situation, but further exploration of this topic lies outside the scope of this paper. See Aragon and Budsberg (2005). See Montgomery (2006) for a compelling critique of health law’s endorsement of consumerist rhetoric. See Vet Futures ‘Taking charge of our future: A vision for the veterinary profession for 2030’ (RCVS/BVA 2015) Section 4.5.4 “Clarify and promote regulatory requirements and professional responsibilities relating to animal welfare” p21 https://www.vetfutures.org.uk/resource/vet-futures-report/ Accessed 13 February 2018. Arguably, since the veterinary nursing profession has always been vocal regarding its responsibilities for animal welfare, this move may have been influenced by its sister profession. The RCVS could, for example, follow the lead of the British Veterinary Association in ‘Vets Speaking Up for Animal Welfare: BVA Animal Welfare Strategy’ (2016, p20) which states that “Promoting a patient’s best interests sometimes requires ethically appropriate influencing of animal owners.”. Carol Gray is supported by a doctoral training award from the Economic and Social Research Council, no. 1615019. The authors would like to thank Vanessa Ashall and Craig Purshouse for their helpful feedback on an earlier draft. British Veterinary Association. 2018. ‘Euthanasia of Animals Guide’ https://www.bva.co.uk/Workplace-guidance/Ethical-Guidance/. Accessed 15 February 2018. British Veterinary Association. 2018. ‘The role of the vet in treatment decision-making’ https://www.bva.co.uk/Workplace-guidance/Ethical-Guidance/ Accessed 15 Feb 2018. Charles, Nickie and CA Davies. 2008. My Family and Other Animals: Pets as Kin Sociological Research Online 13: 1. http://www.socresonline.org.uk/13/5/4.html. Accessed 15 Feb 2018. Royal College of Veterinary Surgeons, 2017a. Code of Professional Conduct. Section 2.4. https://www.rcvs.org.uk/setting-standards/advice-and-guidance/code-of-professional-conduct-for-veterinary-surgeons/. Accessed 10 Feb 2018. Royal College of Veterinary Surgeons, 2017b. Declaration. https://www.rcvs.org.uk/setting-standards/advice-and-guidance/code-of-professional-conduct-for-veterinary-surgeons/#declaration. Accessed 13 Jan 2018. U.S. Government Printing Office. 1949. Nuremberg Code, “PERMISSIBLE MEDICAL EXPERIMENTS” in Trials of War Criminals before the Nuremberg Military Tribunals under Control Council Law No. 10, 2: 181-182. https://www.loc.gov/rr/frd/Military_Law/pdf/NT_war-criminals_Vol-II.pdf. Accessed 10 Feb 2018.